Are you having an extension to your existing place? Are you making use of some unused space near you? Are you planning to make use of some additional unused places to make your house look bigger? Then these are some points that you need to keep in mind before you start the work. If you are staying at the same place, then the project may be delayed. If you make the place empty then the work can be speedy. Also the place will be messy and you may feel that uncomfortable. You can find out a temporary place to move in. If you cannot find one in your area then you can take help from us. We will help you at our best to get you a place. You need to make sure that the designer you selected is reliable one. If the designer is good he will do it on time and he will charge you in the reasonable manner. The cost should cover all the expenses. The designer should design the house in the prefect manner. Bungalow extensions cost can also be negotiated if the builder is good. You can ask your friends or relatives or you can search for them online. And hence we offer high quality all-in-one building services to customers across Southend-on-Sea and all the surrounding areas in Essex. You need to get the insurance before you start the extension work. If there is some damage then this insurance will be helpful for you to recover your amount. If you want to get the right insurance, expert advice or more information on that, you can just call us anytime. Before you extend the house or before you explore any of the bungalow extension ideas you need to know the right regulation about house extension. If they are not as per the rules, you need to follow them. When you are extending above or increasing a floor you need to plan that very carefully. You need to see some of the types of house extensions and then do the planning in the right manner. You need to make sure if your extension has the right support when it is done above. Before you buy, you need to know the infrastructure charges and the taxes those are payable. You will need to see if you are able to pay those taxes or not. Your privacy is always your need and hence you need to make sure you get all the needed privacy. You need to also see if the privacy gets disturb while you extend the plot. The building control is very important. As you start the work you need to give the proper notice. You also need to submit your building pan. This will speed up your construction work. Submitting a complete plan can be the prefect idea. If you have started your work and if you want to use some glass doors and windows you need to be very careful with them. The entry to your home may have a good effect on the work that is going to be done at the place. If the site has very limited access then there are some of the methods of reconstruction that you cannot use. For example if you have a terrace flat then there are certain methods that cannot be used for you. The link between the old and the new is really important. Whatever you make new should not ruin the beauty of the old one. While you make sure of the raw material you need to be careful as it may make difference to the original look. If you think that your place will not be extended in the right manner then you can reconstruct the whole thing and that can be the prefect way. Before you make the new you need to deice the position of kitchen and also other rooms. Once they are done they cannot be changed. So if you are extending your home then you need to keep these important points in mind so that the work will be done in the perfect manner. Just be careful and thoughtful and the work will be done in the right manner. Adding the house extensions will surely be adding the value to your home. 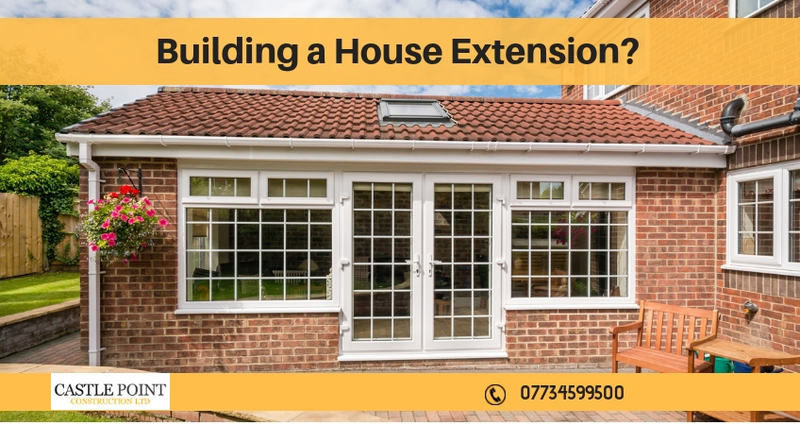 As we are one of the best home extension builders in Essex, by choosing us, you can be assured that your house extension will be completed to the affordable manner and very highest standards.